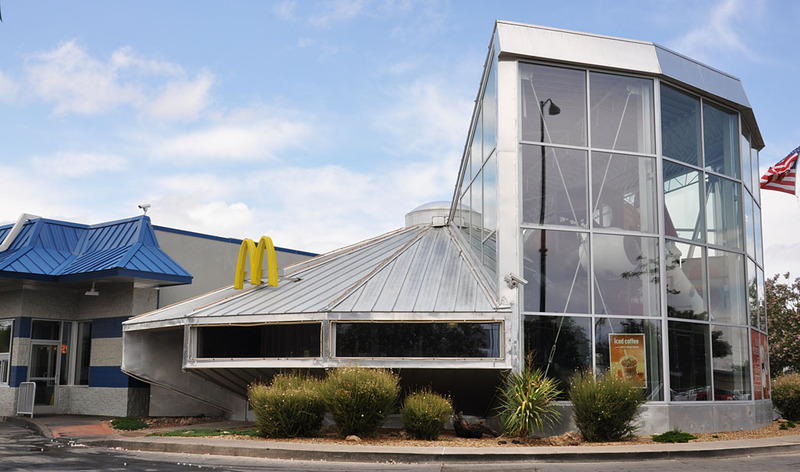 This McDonald's featured a retro building simulating the company's early roof design. I believe this building was built in the early 1990s. 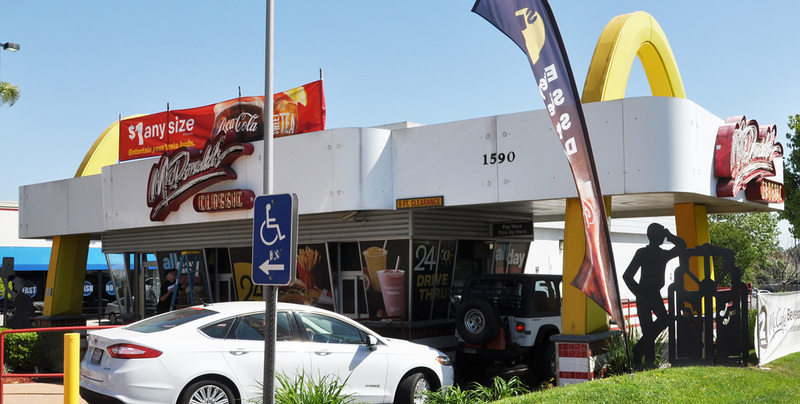 There was also a car hop canopy when the top row of photos was taken in 2006. 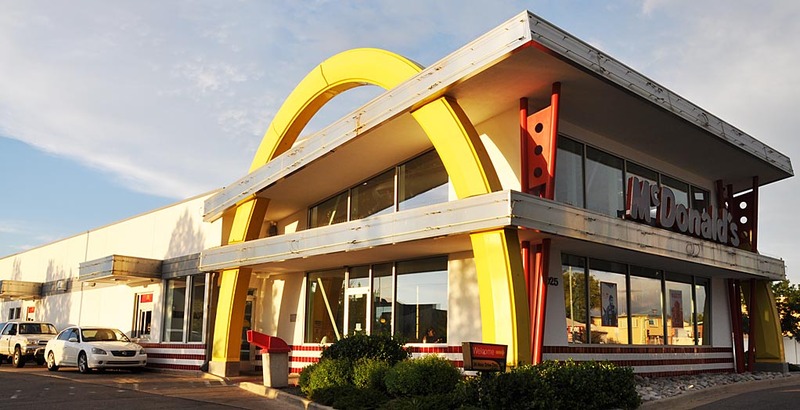 I don't know if this location actually featured car hop service. 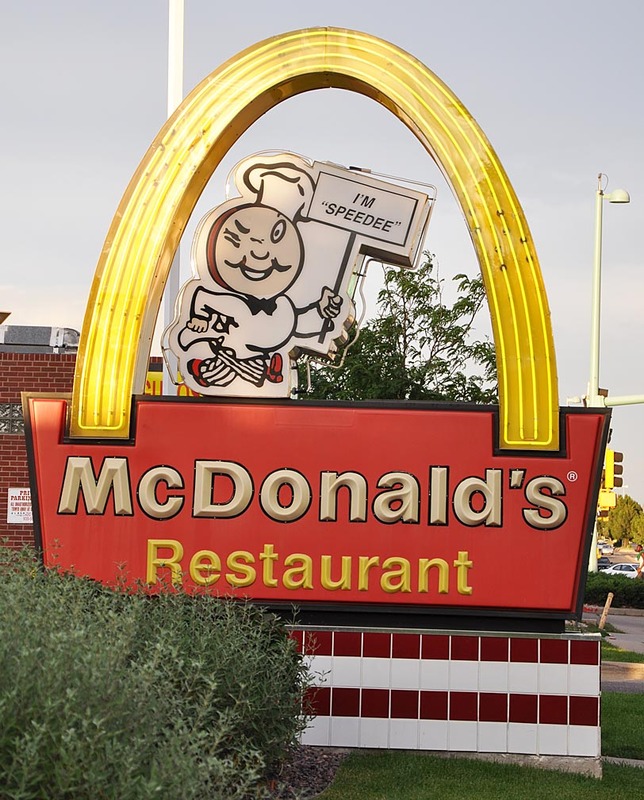 There was also a retro Speedee sign which disappeared around 2005. By 2011 (bottom photo above), the canopy was gone and the building had been repainted. 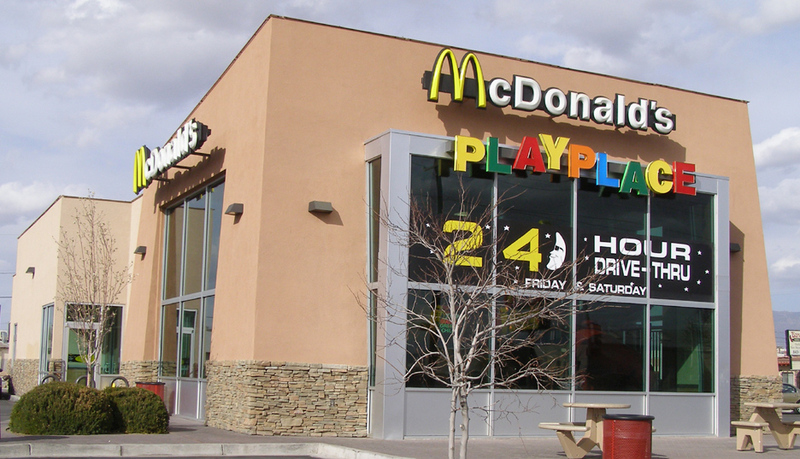 By 2013, the building was completely rebuilt into a two-story box-style McDonald's. For more, see this website. 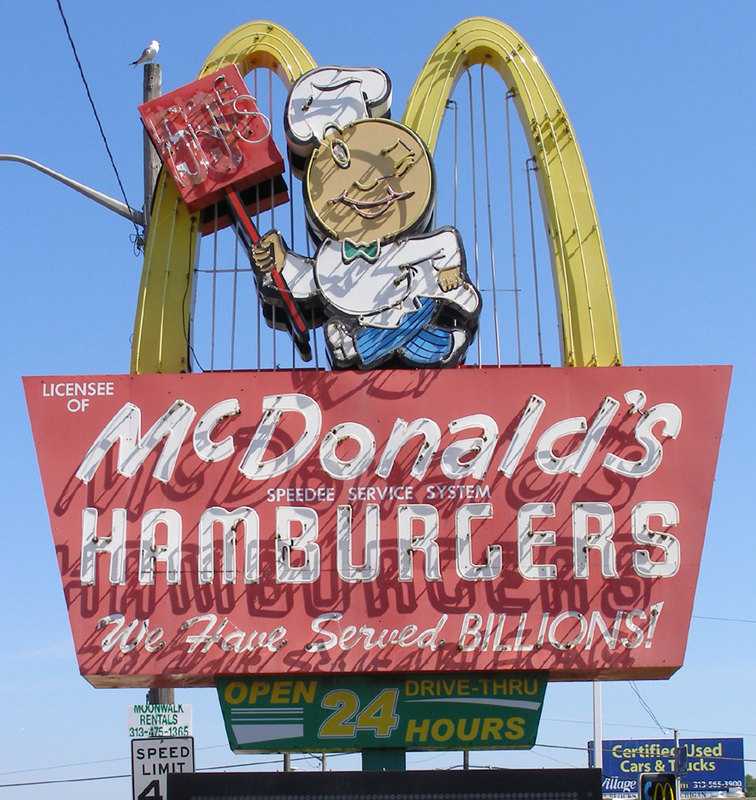 This McDonald's featured the same retro style building and sign as the Oklahoma City location described above. 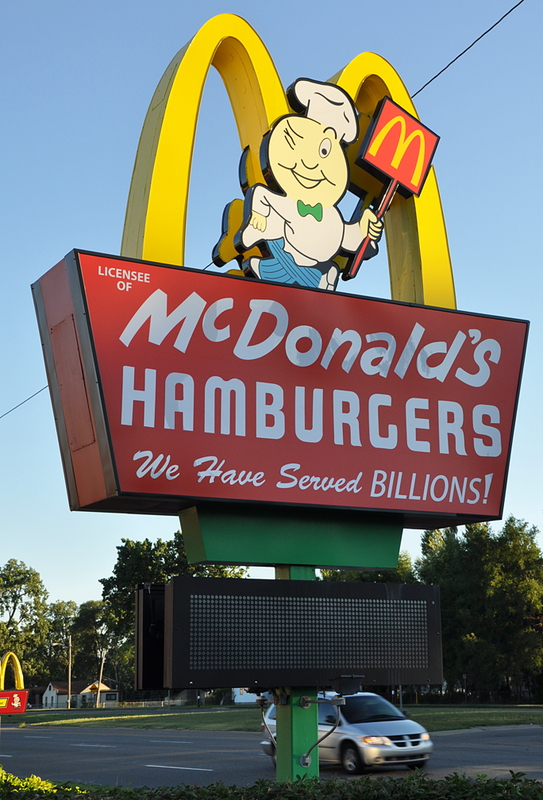 The sign was lit at night. 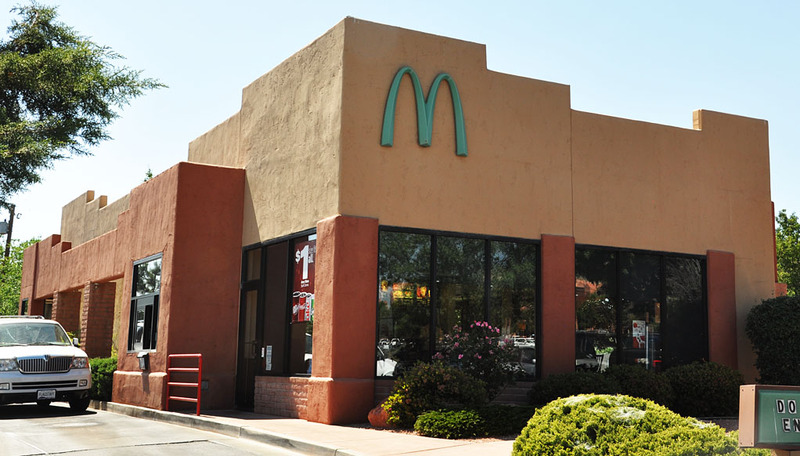 In 2012, the building was remodeled and the sign was replaced. For more, see this website. There is another former Wetson's building in Jericho, NY. There were three Chandler's Hamburgers in Tallahassee. 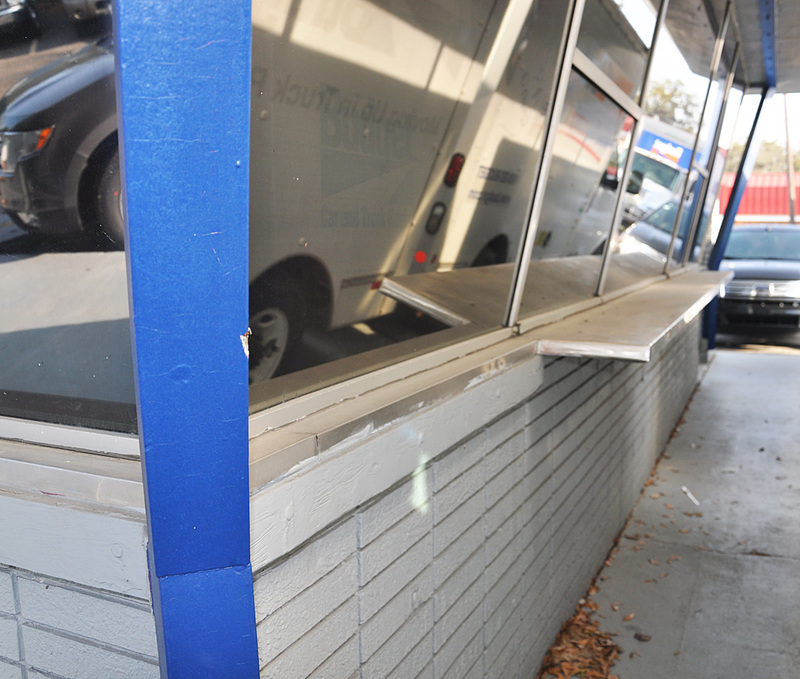 There are other surviving buildings in Tallahassee, Gainesville, and Quincy. If you know of any others, I'd love to hear from you. 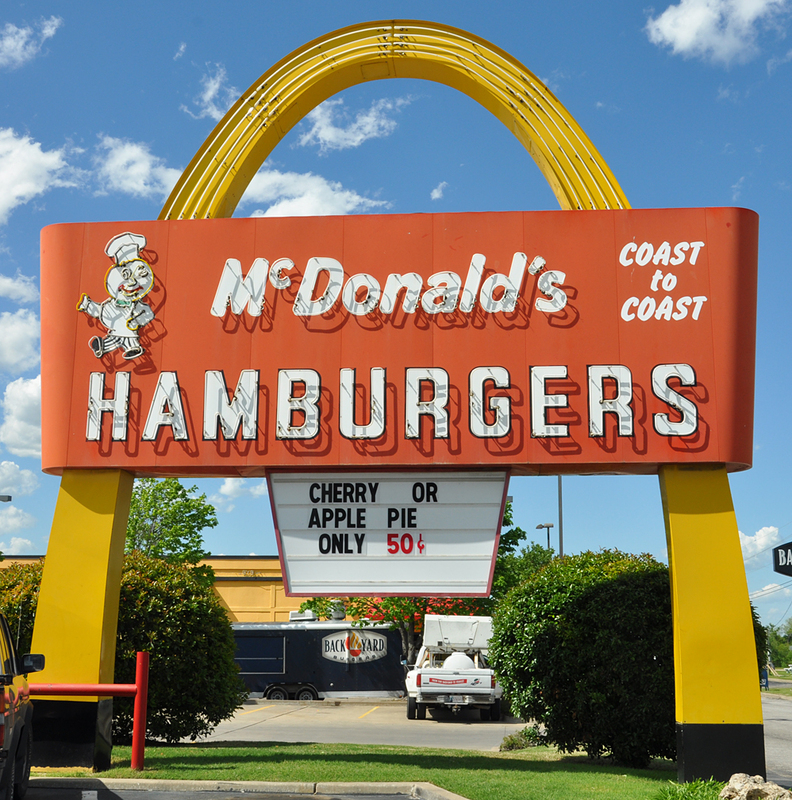 Other chains and independents copied the early McDonald's building style, including Henry's Hamburgers, Hardee's, Goody's, and Pot-O-Gold (1, 2). 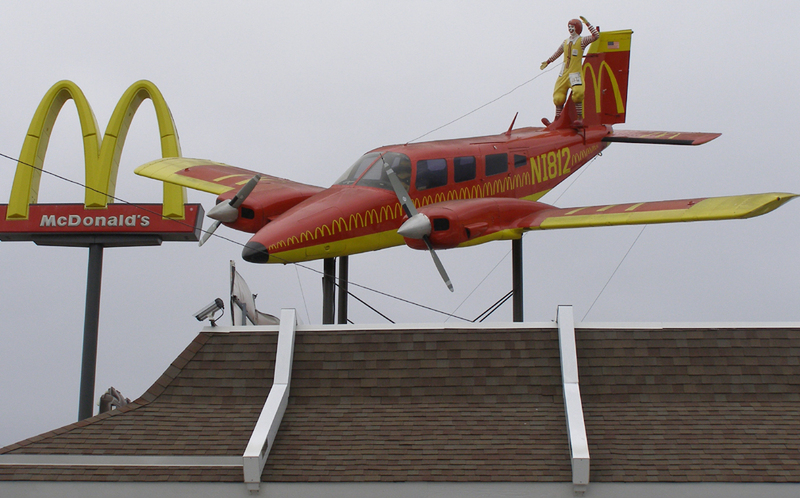 The McDonald's in Springdale featured an airplane on the roof. 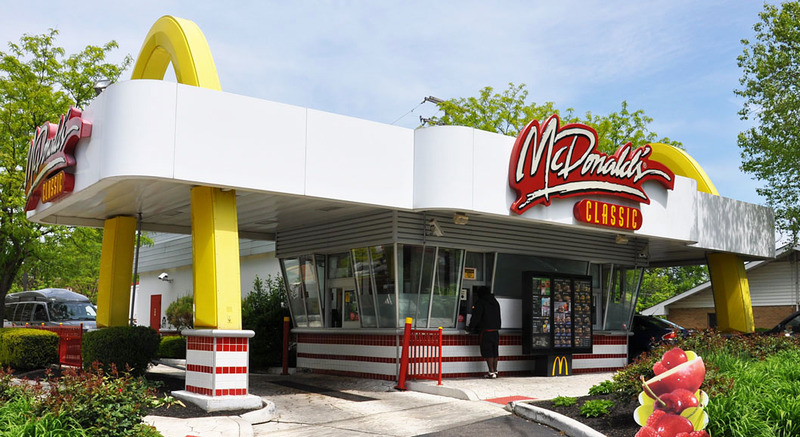 The plane was piloted by the Hamburglar while Ronald McDonald stood on the tail section. The plane had been there since at least 1999 but was removed in 2008. 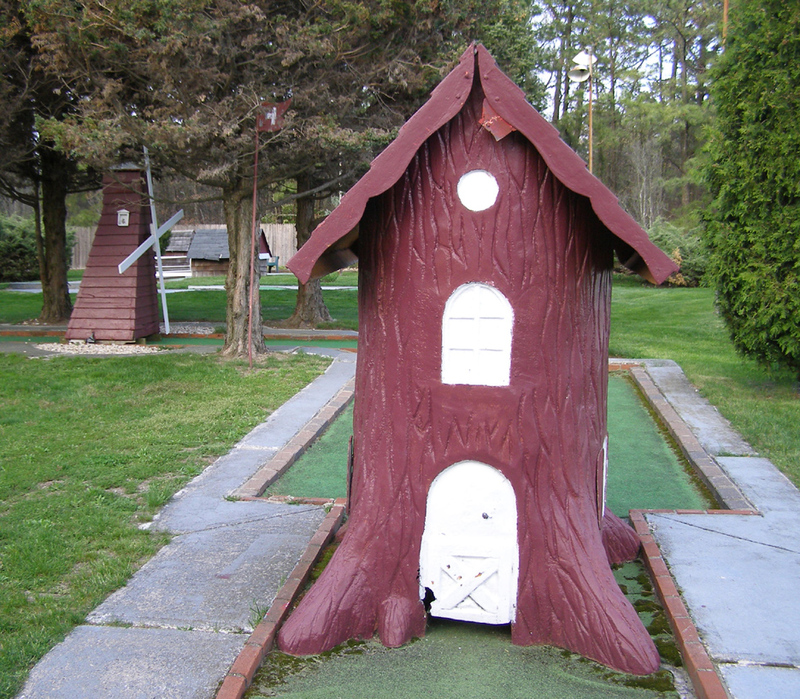 This location is located next to the Springdale Municipal Airport. For more, see this website. 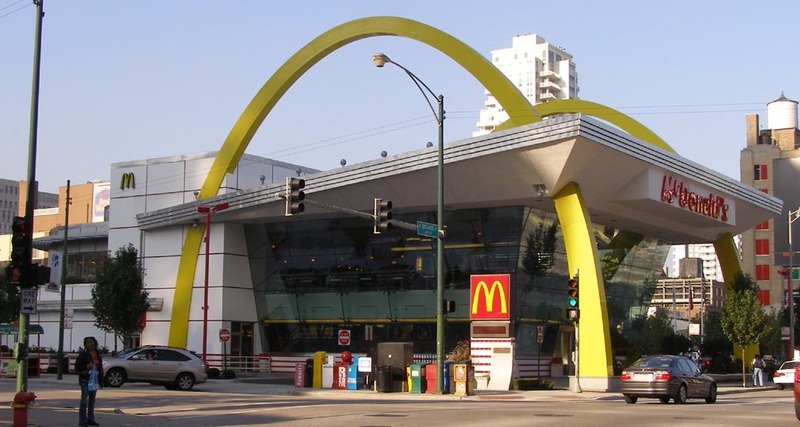 This Chicago location, aka the Rock-N-Roll McDonald's, was enormous. 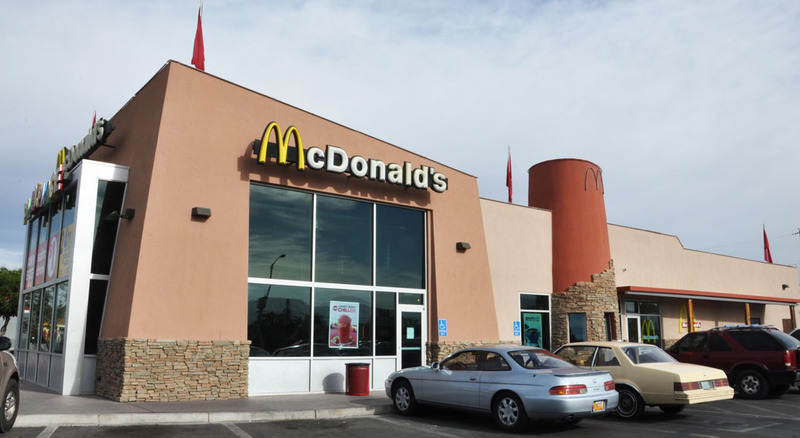 It was built in 2005 and the arches were 60 feet tall. There was a coffee and gelato bar on the second floor. In 2017, it was announced that the building would be remodeled, inside and outside, and drop the Rock-N-Roll theme. The building was demolished and, in 2018, it reopened with a very modern box look.